The Beloit Corporation has completed Phase 1 of a Remedial Investigation as part of the Beloit Corporation Superfund Site project. The site is located northeast of Rockton, Illinois, in Winnebago County. 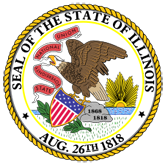 This investigation was financed by Beloit Corporation and carried out by Warzyn Engineering, with complete oversight by Illinois Environmental Protection Agency (IEPA) and their contractors. The larger map indicated in the fact sheet will be included in a separate pdf attachment. 2. Fact Sheet #2 (belo2.pdf).